Have you purchased Charmin Freshmates Flushable Wipes between April 6, 20,11 and Nov. 26, 2018? You may be entitled to a refund in this class action settlement. 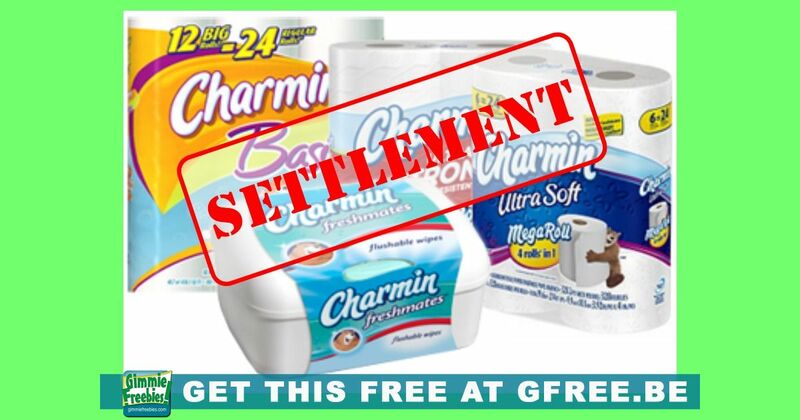 The lawsuit alleges that Proctor & Gamble falsely advertised the Charmin Freshmates Flushable Wipes as being “flushable” and “septic safe”. However, there were several consumers that contend that using this product led to major toilet issues and, for some instances expensive plumbing bills. Proctor & Gamble has agreed to make labeling changes. If you have proof of purchase, you can receive a payout of up to $30. If you do not have proof of purchase, you can claim up to seven purchases, for the amount of $.60 per package.